Let's be fair, it's not actually that cold outside but that doesn't mean we should't pull out our favourite accessory of the season: the mighty christmas jumper. 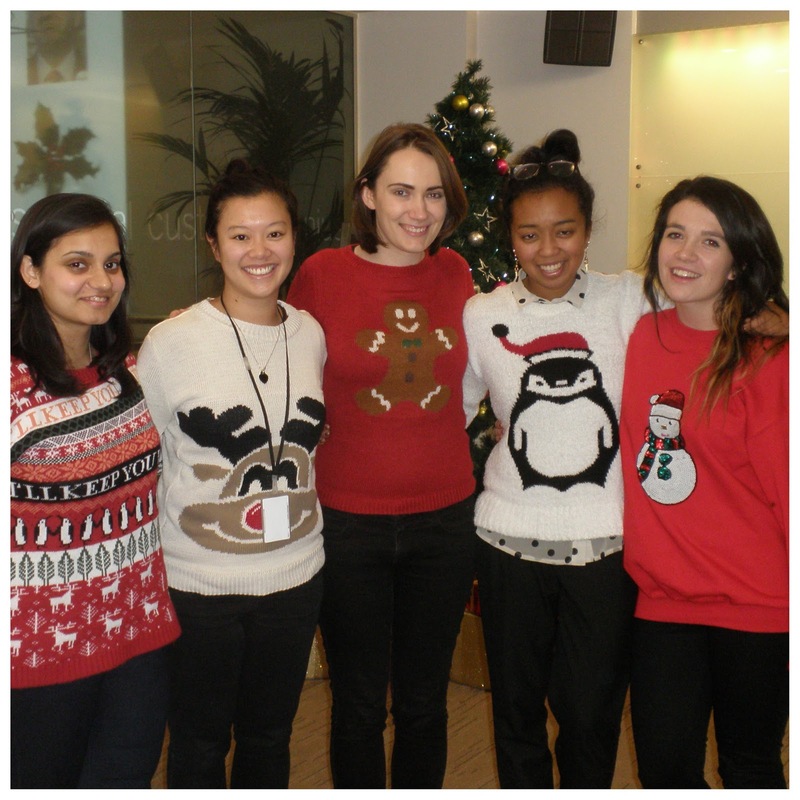 Last week, my team had a Christmas Jumper Day at work and above is a small (but great) sample of what appeared on the day. However, there was one re-occuring topic - how hard it was to find a christmas jumper this year! Mine (the penguin) was found in Camden Market by lovely Jan (sporting her reindeer look) after a good few days of us searching London's high street. 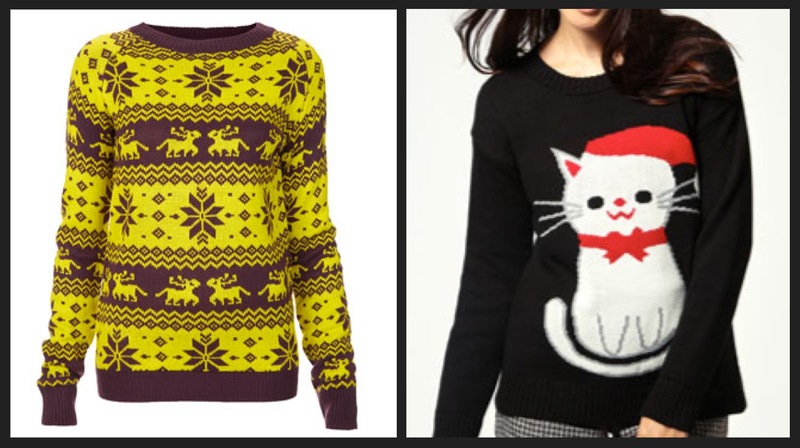 Though it was worth the search in the end, I thought I would flag some jumpers I've spotted online (and love) if you're still looking for a novelty gem. The Wolf not a one-off piece, this is a statement all year jumper that I absolutely adore and if you are also a fan of Flight Of The Conchords, this is 100% Brett jumper which makes me love it even more! 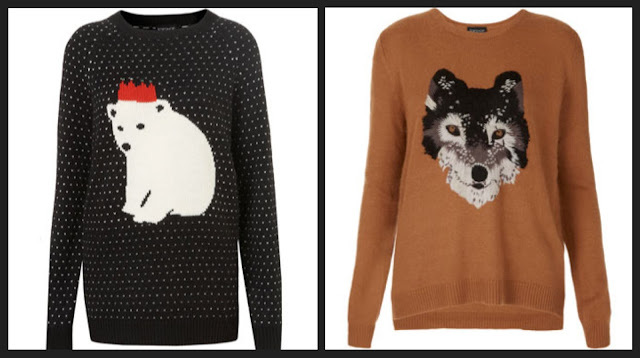 The Topshop Christmas jumper range was great this year - sadly my festive robin only arrived yesterday so was a little too late :-( They're down to £35 now so chance for a bargain for next year!